Credit cards, unlike other businesses and instruments, are not blocked by the major companies from being used to buy Bitcoins. How and where can you buy Bitcoin with a credit card? Over the last years bitcoin has been at the forefront of cryptocurrency trading, gaining immense popularity among investors. Some characteristics such as the volatility, the returns, the risk involved, and the fact that the market is always open have made it an attractive financial instrument for those who know trading, and even for those who do not know as well. But it is not an easy job to get bitcoins as they are not physical instruments and can be bought only at exchanges which have mushroomed in abundance since bitcoin started gain public attention. However, some exchanges still work on crypto-to-crypto basis and lack the underlying technology necessary for purchasing Bitcoins with credit or debit cards. This might have been the primary reason behind the outflow of customers from such exchanges as many would rather have the option of instant purchase instead of using other services in order to get bitcoins on the wallet. Credit cards offer an easy and quick way to buy bitcoins as many investors have their credit cards and they can use it to deposit funds into their account at any Bitcoin exchange instantly. Once the account is funded, they can use these funds to buy bitcoins at the exchange, and their journey into the world of bitcoins starts. As of now, credit cards are not blocked by the major companies from being used to buy bitcoins. In some countries, many credit card companies block users from investing in forex, gambling and other such industries by the law of that country. Many countries are still trying to evaluate bitcoins and its usage, and therefore very few of them have banned the cryptocurrency outright. This has warranted that traders in most parts of the world can easily use their credit cards to purchase bitcoins at the exchanges. All that the trader needs to do, as described above, is to create an account at the exchange and get a BTC wallet from the exchange. Then they can make fiat currency deposit with their credit card and fund their account, and these funds can be used to purchase bitcoins at the exchange. How to Buy Bitcoin with a Credit Card Instantly? 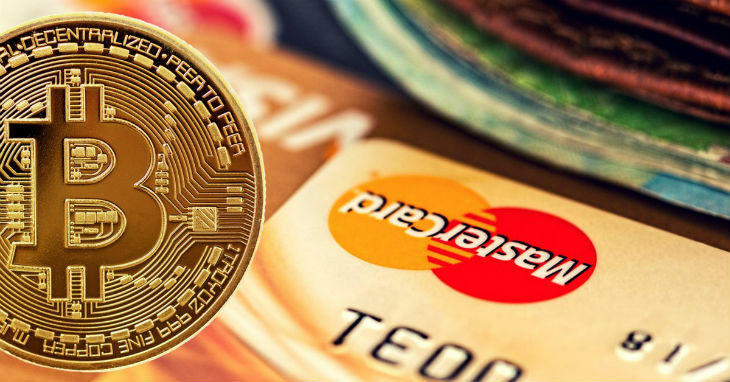 Here, we have to mention that what makes credit cards one of the most preferred methods of buying bitcoins it is the speed of the fund transfer. The cryptocurrency industry itself is all about speed now as the joining of more and more investors into the bitcoin trading industry is causing considerable volatility in bitcoin prices. Hence, we have seen the prices surge and slump around 10% on many days, and this functions both as a boon as well as a bane as it flings open the hope of the trader being able to make a massive sum of money or lose a considerable amount within a short period. As we had mentioned earlier, the credit card companies are yet to develop their stance on usage of cards for Bitcoin purchases. On the current stage many exchanges, especially those based in U.S, have necessary regulatory background and obtained the underlying licenses and therefore should not be a cause for concern for companies like Visa and MasterCard. Wee believe this trend is unlikely to face reversal in the years to come unless there is a global ban on cryptocurrencies in general. The Katter is unlikely to happen due to the decentralized nature of cryptocurrencies. Is it safe to Purchase Bitcoin with Credit Card? As far as the legality of buying bitcoins with a credit card is concerned, the process is not much different from using Wire Transfer. As such, if it is okay for a trader to use bank wire for Bitcoin purchases, then trader should have absolutely no problem doing the same with his credit card. However, traders have to ensure that they are cautious while using credit cards as exchanges and other places where bitcoins are traded are always under the watch of hackers. The main advantage of buying bitcoins with a credit card is the speed of the transaction. As we had explained earlier, the bitcoin market is very volatile, and in such markets, speed is very significant. It is essential that the funding of the trader’s account at the exchange and the withdrawal process occur quickly and seamlessly so that the trader can take full advantage of the price change in bitcoin and credit cards facilitates this. The downside is the security viewpoint of the transaction as more and more exchanges are surfacing online and some of them are pretty susceptible to hackers’ tricks. So, the trader needs to be very careful in picking the right crypto-exchange so that his credit card information is safe. Also, if the trader is caught in a loss, it becomes tough for him to reimburse the credit card dividend and the interest that will be incurred will worsen the situation. Make sure that you only put in that amount you can afford to lose. Do not give out your credit card details to any person at the exchange or if any person calls and asks for it. Ensure that you have a trading system that works before buying bitcoins. Make sure that you pay off your credit card balance every month. Make sure that the exchange where you transfer funds has up-to-date security measures. Buying BTC using a credit card is one of the simplest and quickest ways of engaging in cryptocurrency market. It does not need the investor to be a tech guru and it consequently provides an excellent opportunity for shrewd traders to have instant arrival of funds which might be useful at times of high price volatility. As long as the trader decides to uses a highly secure exchange where his card information is secure, using a credit card to buy bitcoins is apparently the best way. PREVIOUS POSTWho is Satoshi Nakamoto? Which are the best coins for beginners?